Democrats demanded the immediate release of special counsel Robert Mueller's report after it was submitted to the Justice Department on Friday, as President Donald Trump's allies cheered the conclusion of a nearly two-year investigation that has repeatedly rocked his administration. "It is imperative for Mr. Barr to make the full report public and provide its underlying documentation and findings to Congress," Senate Minority Leader Chuck Schumer, D-N.Y., and House Speaker Nancy Pelosi, D-Calif., said in a statement. "Attorney General Barr must not give President Trump, his lawyers or his staff any 'sneak preview' of Special Counsel Mueller's findings or evidence, and the White House must not be allowed to interfere in decisions about what parts of those findings or evidence are made public." They added: "The American people have a right to the truth. The watchword is transparency." "The American people deserve to know all the facts now. 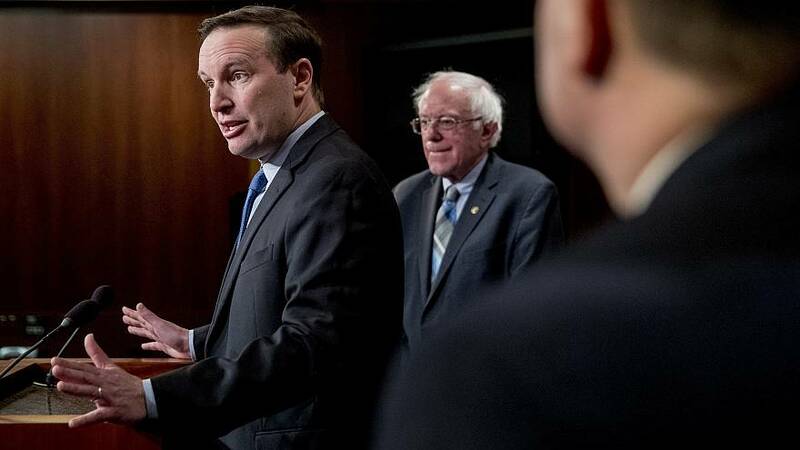 The future of American democracy depends on it," said Sen. Chris Murphy, D-Conn., in a statement that called for the report's release. There was some bipartisan support for the public release of the report, as well: Rep. Doug Collins, R-Ga., said he looked forward to reviewing the report. "I fully expect the Justice Department to release the special counsel's report to this committee and to the public without delay and to the maximum extent permitted by law," he said in a statement. Senate Majority Leader Mitch McConnell, R-Ky., didn't go as far, but he did encourage Attorney General William Barr — who he applauded as "experienced and capable" — to release as much information "as possible," adding that he hoped he would be "as soon as he can." Meanwhile, the White House, lawyers for the president as well as his closest allies said the attorney general would be in control of the report going forward. "We're pleased that the Office of Special Counsel has delivered its report to the Attorney General pursuant to the regulations. Attorney General Barr will determine the appropriate next steps," Rudy Giuliani and Jay Sekulow, members of the president's legal team for the Russia investigation, said in a statement.